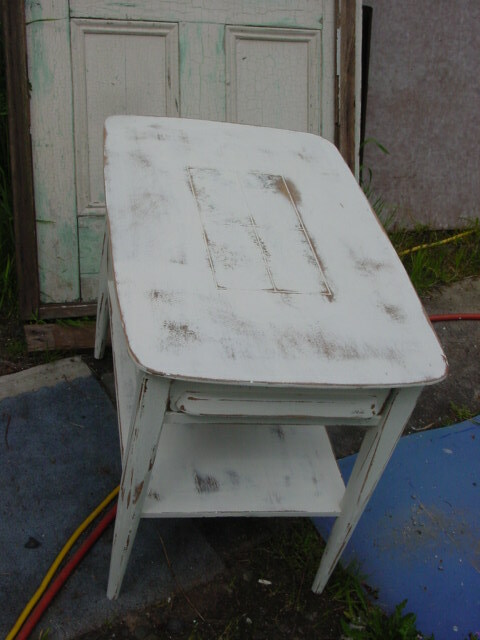 This poor old end table was used and abused and tossed away . .
Dumpster Diver Michael to the rescue! 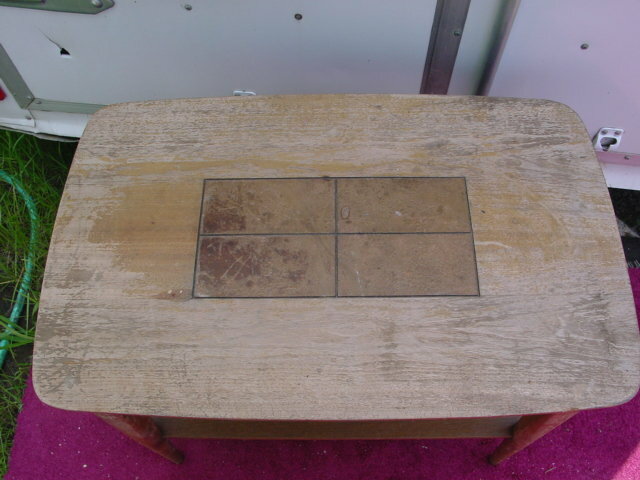 It had obviously been left sitting out in the weather for quite some time, and all the varnish was cracked and peeling off. 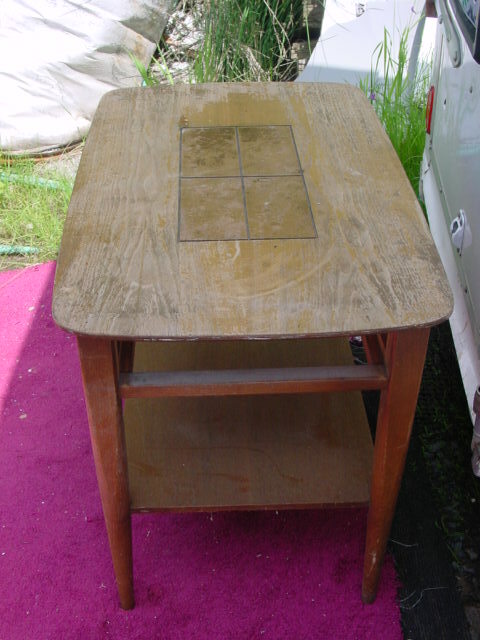 But it was still nice and sturdy, and if a table has ‘good legs’ it’s almost always worth rescuing. There’s the drawer! 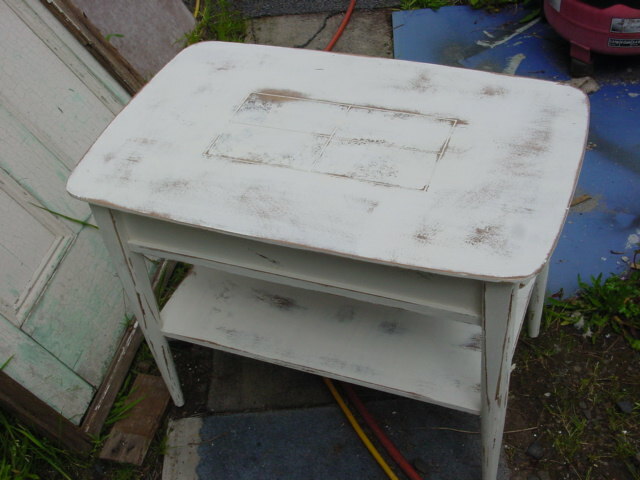 I gave ithe whole thing a good sanding and a couple coats of white paint. 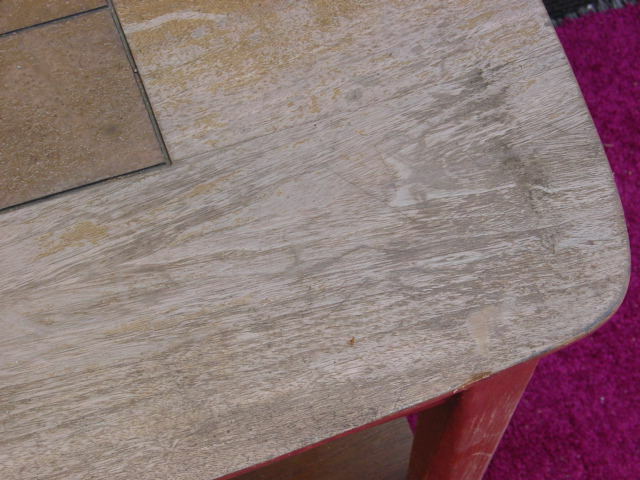 And some more sanding to shabby it up! I’m not particularly fond of the four squares design on the top. Not even sure WHAT the inlay was made of?!?! 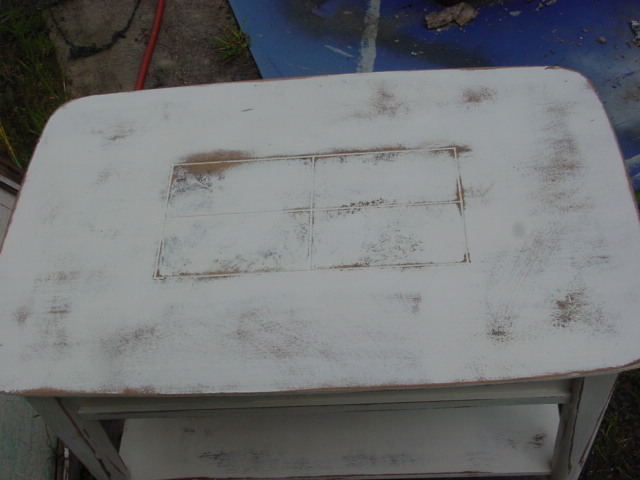 But it sanded and painted up just like the wood. Besides when the table is actually USED, that part of it will most likely be covered by a lamp or stack of magazines or other necessities.